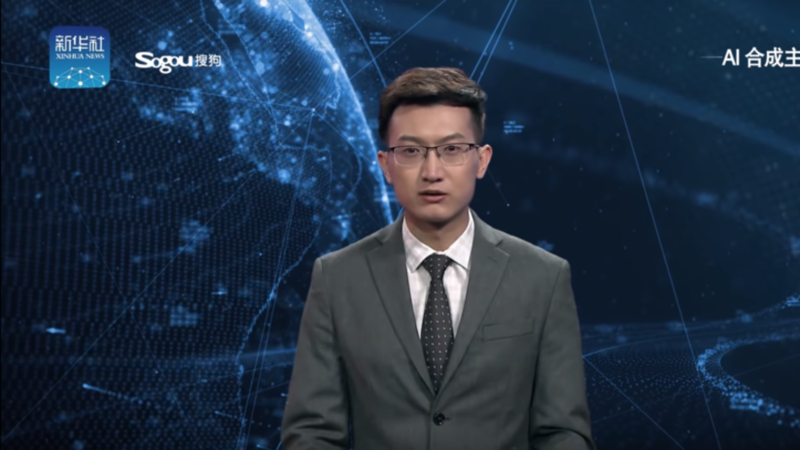 This AI anchor's face and voice has been designed based on the agency's news anchor, Zhang Zhao. Xinhua also says that the virtual anchor can self-learn from watching live broadcasting videos and "can read texts as naturally as a professional news anchor". Xinhua, China's state-run press agency, has created two virtual "composite anchors" that use artificial intelligence to read the news, the South China Morning Post reports. Xinhua built the AI with China's Sogou search engine and stated in a report that it will allow the news agency to have 24-hour news coverage while cutting down on production costs. The anchors are now available through Xinhua's distribution platforms, including its official Chinese and English apps, WeChat public account, online TV webpage, and two Weibo accounts. It appears that photo-like facial features have been applied to a body template and animated. "It's very flat, very single-paced, it's not got rhythm, pace or emphasis", Prof Wooldridge told the BBC.